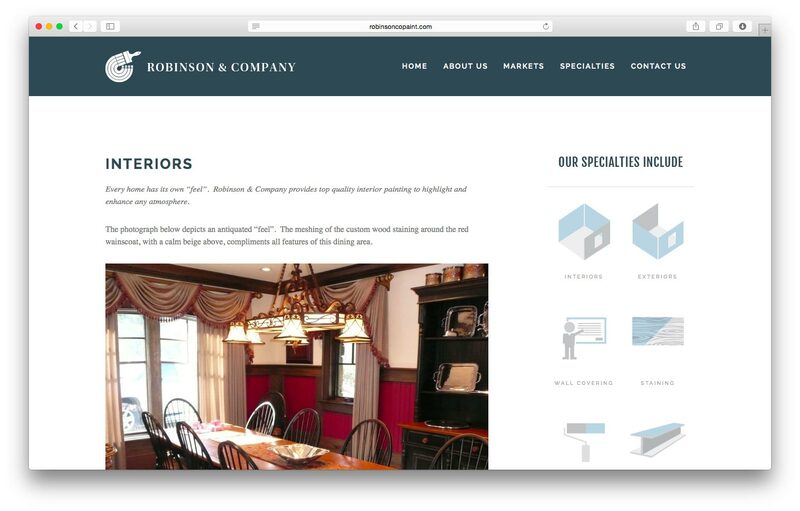 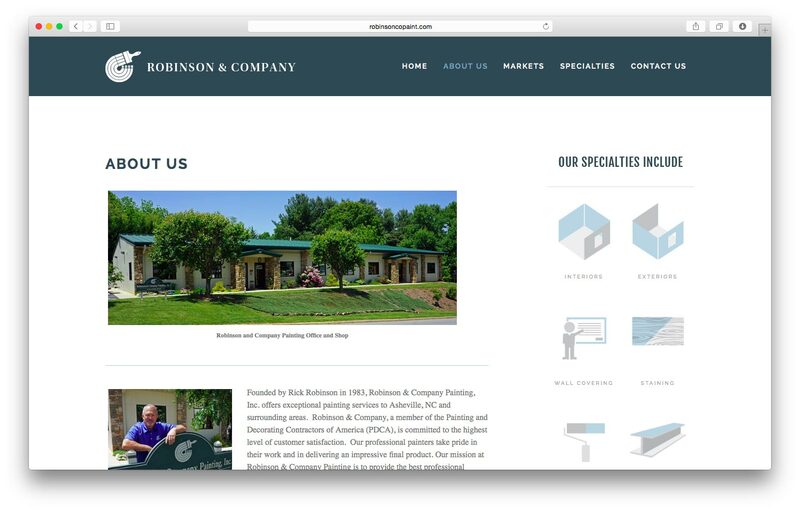 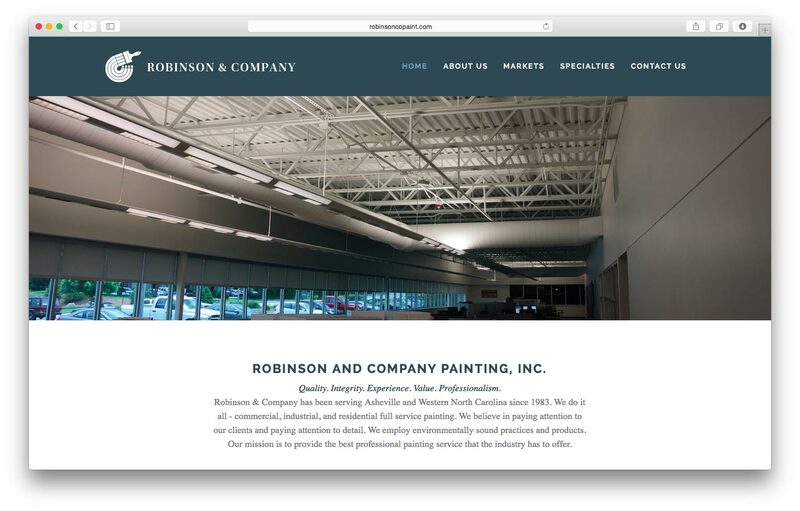 Current: Robinson & Co. Painting, Inc. 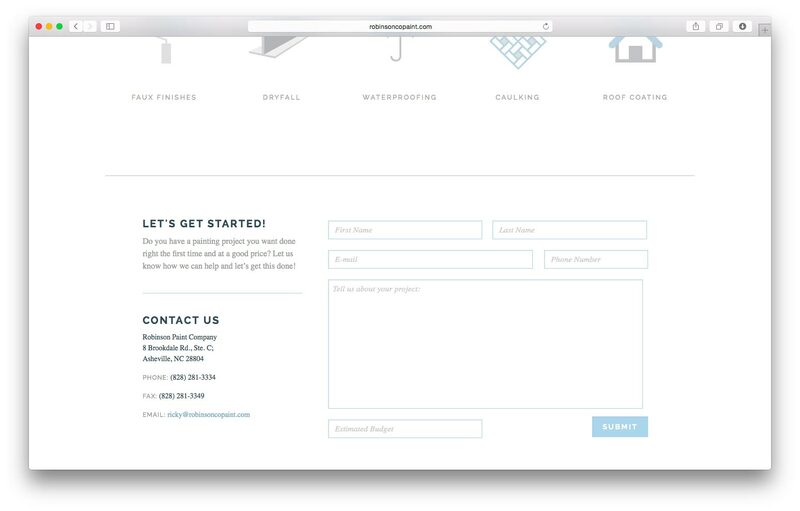 The firm had the design, but needed someone to write the code. 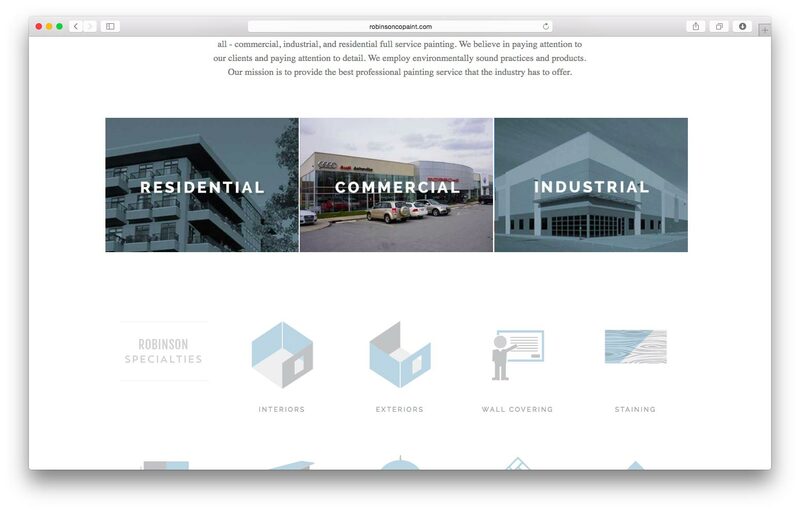 We needed to take a design from a Photoshop file and make it into a real, live website.